A tec has been providing cutting edge fire protection systems around jet engine test cells for over 40 years. People work in and near these engine test operations. Turbine Test Cells utilize expensive control systems, engine run equipment, utility packages and enclosures. The aircraft and engines tested at these sites are hugely expensive. Fire risk reduction begins in aeroengine test cell design, where layouts and materials are chosen for careful fire and environmental advantage. Our 2017 acquisition of Vital Link, Inc., brings unexcelled experience and expertise to our engine test fire suppression pedigree. Our staff of engineers and FSRs with fire system qualifications, along with our proven fire safety suppliers, offer our customers the very best in test cell fire suppression. 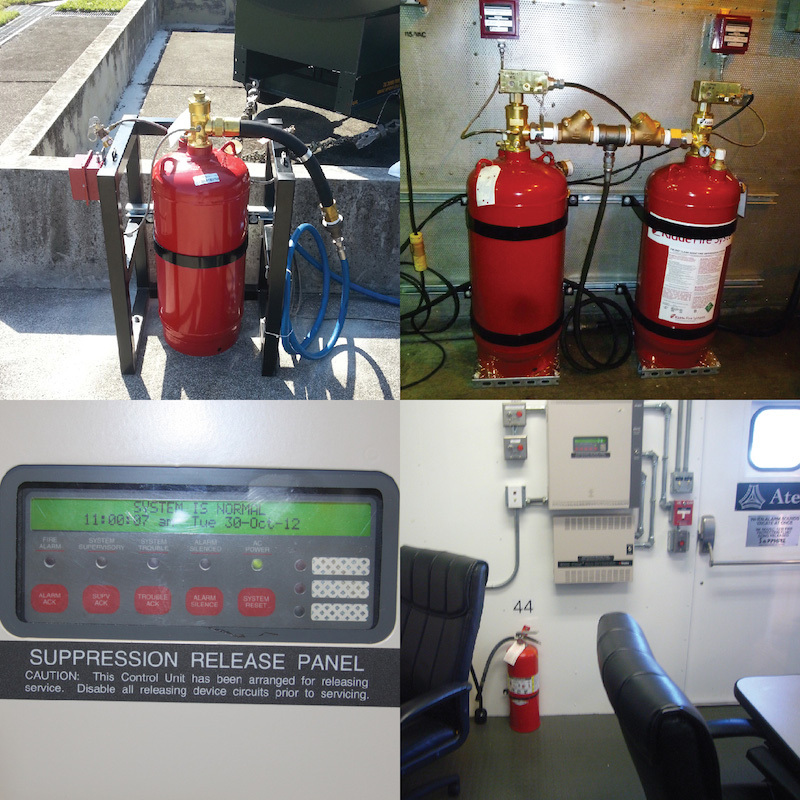 Atec provides fire suppression systems turnkey, as upgrade modifications, with GFE/CFE, with packaged products, and as custom solutions. We have experience with water mist & deluge, clean agents, CO2, foams, eco-friendly inerting agents, hybrids, aerosols, powders and halon servicing. Solutions range from carefully selected hand extinguishers to computer controlled detection, alarm, release, notification and shut down systems. 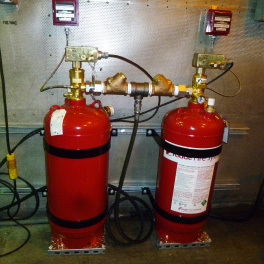 Atec typically works with NFPA certified fire protection specialists to specify, design, supervise, integrate, test, document and review maintenance of Atec’s suppression systems. We work to UL and other code requirements. We have refined test cell fire suppression approaches that save our customers significant NRE costs, as systems are engineered for specific applications. Vital Link’s innovations with Novec and superfine watermist in test cells is world’s best, and have gained configuration adoption by USAF and Allies worldwide. Atec has similarly set the pace in FSS for configuration of control rooms, “cowling on” applications and cell utilities subsystems. These commonalities across platforms also cuts schedules, eases installation, reduces training, and typically comes with standard parts and consumables. Atec is familiar with precision piping, nozzling considerations, valving, hangers/supports, corrosion issues, sensors, vent & leakage areas, coverage calculations and suppression agent selection. Regardless of scope of project, Atec can provide facility PLC systems that are ideal for integration with UL861 PLCs, and for applications that necessitate monitoring, controlling and displaying information graphically, allowing operators to quickly assess the status of their operations. Atec is able to provide a dedicated Facility Control Panel consisting of mechanical pushbutton control switches to interface with the separate UL861 controller. As a safety feature, activation for the Engine Emergency Stop and Fire Suppression PLC System functions can be controlled directly without requiring the engine data acquisition system to be operational in the turbine test cell. 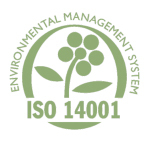 Atec is an ISO 14001:2014 organization, and we stress compliance to eco-friendly solutions. Our experience with all types of engine test sub-systems is unsurpassed. Atec knows Brick and Mortar turbine test cells, Hush Houses, Test Cells in a Box, and Intermediate Test Stands. We have the knowledge and data necessary to implement any fire suppression system for AeroEngine Test Cell applications. Atec was one of only two well-experienced engineering, construction and integration contractors providing testimonial inputs to the USAF in late 2015 on fire systems for next generation engine test and support enclosures. We monitor NFPA, UL, NICET, SFPE, FSSA, ISO and major manufacturers to be a well-informed pacesetter for fire safety in our aerosupport niche. Certain fire suppression agents have the ability to quickly suppress fires and protect sensitive equipment without causing harm to people or the environment. Such advanced suppressants usually involve engineered systems that are especially suited to suppress Special Hazard fires in areas where an electrically non-conductive medium is required, where electronic systems cannot be shut down in an emergency, where cleanup of other agents poses a problem, and in normally human-occupied areas that demand a non-toxic, no residue agent. Modern fire retardant, no-residue gases such as Novec1230®, FM200 and FE25 are gaining popularity. Ultra-fine, low volume water mists and airborne powders are also receiving attention–and Atec is at the forefront of such aviation and industrial fire suppression solutions. Contact us to discuss your fire safety needs!